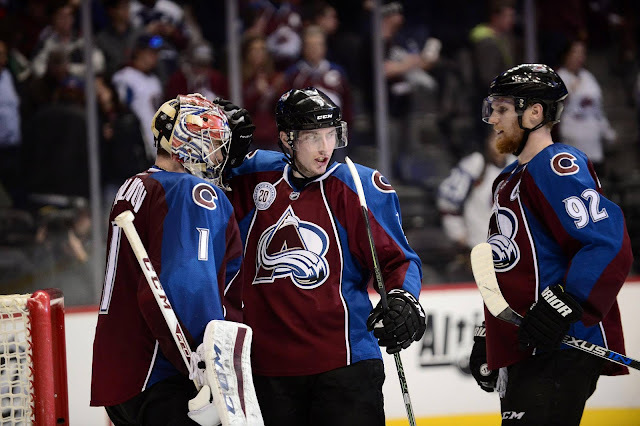 The list of teams grows for Duchene; Patrik Berglund's name surfaces once again; the Golden Knights may be allowed to make trades soon and lots more in this edition of the Rumour Report. A little extra intrigue for this year's NHL trade deadline: the Vegas Golden Knights may be permitted to make trades before the March 1st cutoff. Though they can't trade for any active players, this might shake up the market nonetheless as the Knights compete with deadline sellers trying to improve their prospects cupboard. Speaking of the Knights, expect them to be one of several teams aggressively pursuing College free agents in the coming few months. Here are a few of the top names available. According to GM Stan Bowman, don't expect the Blackhawks to be very busy at this year's deadline. It's true that they lack cap space, but the reality is they have been very, very busy calling teams around the league to check on the availability of their top forwards. Patrik Berglund's name has surfaced again in the rumour mill. Berglund has been in rumours for several years, but as a pending UFA he has extra value on the rental market. But the Blues must decide where this thing is going: are they trying to win it all, or are they taking a knee until next season? You can add Montreal, Nashville, St. Louis and Arizona to the growing list of teams interested in Matt Duchene. Other teams that have inquired: Chicago, Ottawa, Winnipeg, Montreal and the New York Islanders. The Avs are shopping Gabriel Landeskog as well but it's unlikely they trade both players. Lately it seems like Duchene is spending more time in the rumour mill, so he could be the one that ultimately gets dealt. He rises to 60% trade odds on the rumour board. 26 days until the NHL trade deadline. Check out the trade rumour board for a big list of players potentially on the move.